The past few months have had me thinking a lot about product positioning. Several projects that I’ve had, and more than a few business plans I’ve reviewed recently, struggle with the concept of their product’s strengths. This can apply to companies as well as a positioning message of what they offer over competitors. Product positioning is all around us, whether you notice or it or not. The goal of product (or service or company) positioning is to keep you in the customer’s mind at the time they are looking to purchase. A positioning strategy feeds into the marketing message in terms of how you talk about the product. The strongest brands and products you know about have succinct positioning statement. But how do you get there? Define, then refine. Much, if not all, of the data we’re going to look at below can be used for other product areas – price forecasting, operational improvements and marketing messaging around the product; but for today, we’re looking at positioning. Product attributes and market segmentation: is it a luxury item, a mid-tier market, or economy based? Obvious examples of this are hotels: the Ritz Carlton (luxury), the Hilton (mid) and Comfort Inn (economy); each are positioned within a market segment. Benefits to the customer: what will the customer gain from your product or service? The affluent traveler looking for an experience (Ritz Carlton). Ideal for ease of business travel – cookie cutter accommodations/amenities (Hilton). Inexpensive, and won’t break the bank for quick trips or family vacations (Comfort Inn). Characteristics of the customer: define a couple of scenarios of ideal customers, including demographic information. What target features are they looking for? Where would your product ideally reach them? What would drive them to purchase from you? Characteristics and strengths of competitors: conduct analysis using publicly available data; company annual reports, industry news and blog posts. Create an evaluation of their strengths and weaknesses to determine your competitive advantage. Opportunities for competitive pricing, improved distribution and product refresh cycles can be derived from analyzing your competitors. Analyze gaps between your product and your competitors. Understanding these gaps will help you determine where your product positioning strengths stand out. These are areas which your product (or service offering) can easily target (to become)? market leaders. Note, in some market segments the product gap could be very small, in which case your product might be competing with an established brand if it’s new to the market. Incumbents to a marketplace could be entering a profit-limiting segment. 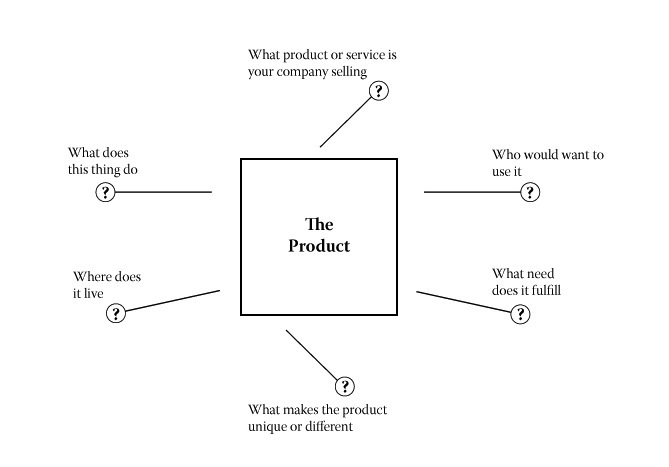 To arrive at a product positioning statement, refine the ideas from the analysis narrow it down. Identify the top 10 items/concepts from the exercise. Then hone to the top 5, then finally the most important 3. Those 3 should be distillable into 3 words. You’ve arrived at the product positioning and the basis for your product/service/company’s marketing message. Put it out there on all the channels used to connect to customers. Do the concepts resonate with customers? Are you getting more sales or inquiries? Market positioning for products change over time. Changes,whether economic or innovative, are constant in marketplaces and customers’ needs. Assessing your product positioning at regular intervals allows for retaining the competitive edge of customer needs in your market area. Is your product playing to its strengths? I’ve been talking (and asking) about creating a value propositions for small businesses. What is a value proposition you might ask? A brief statement of benefit that summarizes why a customer should purchase a product or service. Basically, it explains the customer what will they will get exchange for their dollar(s) and your company’s unique identifiers from the competition. I thought it would be interesting to represent questions that should be considered when creating your company’s value proposition in a handy graphic this week. What’s in the box? Your company’s value proposition should answer as many of these as possible. It can be a bit of a challenge (almost like a mad-lib) to distill the answers down into a couple of sentences. White board, Trello board, or even traditional post-its can be useful in defining the concepts and arranging their order. Once you’ve put the sentences together, which may take some time and revision to polish up, test them out. Try your value proposition out on various social media channels, email it around to you advisory groups and create some discussion around if you’re headed in a good direction with your proposition. Tor has some helpful (and humorous) advice for testing. As your company moves forward and the product evolves in the marketplace, it makes sense to revisit your value proposition in scheduled intervals as it should reflect your product’s strengths. I’m searching for great examples of value propositions that are out there today. Can be in any vertical. Seen any recently that have caught your eye? Post them below! Pricing is the valuation of your product or service. Arriving at one is a healthy combination of art and science. There are over 10 different methods you can assign to figuring out your product pricing model, however, without looking at the variables that go into creating your product, you run the risk of creating problems for your product in the future. Whether you’re creating the latest and greatest time saver app, manufacturing tools or harvesting produce to sell at a farmer’s market, costs have been incurred in the process. Fixed and variable costs such rent, labor, any debt or loans on equipment and distribution/delivery costs are the basis for knowing what you need to recoup. Create a list, meet with your accountants (or accounting department) to develop an understanding of the costs needed to recoup. What mix of margin percentage and customer acquisition volume is needed to get to profit? Who are your customers and how will you reach them? Creating a list of basic demographics of your product’s customer will help drive estimates of sales, as well as where you’ll need to focus marketing/accquistion efforts. Look at your competition’s price points. Identify where their strengths and weaknesses are in the marketplace. Run your own scenarios based on their price point. It’s too hard to reverse engineer a pricing model. Identify where your product or service wins and loses based on comparisons with other products out there. This is where your products perceived value will come from. When customers recognize the value, it will drive customer acquisition. After looking at your competition in the space, where is your product landing? Are you positioning to be a premium brand in the market, or on the value end? Depending on where you want the product to land, is the value proposition to the customer enough to drive a higher price than the competition – or lower to undersell it? Maybe you’ve done a beta period with your product, or if you’ve been operating for a while. Create a customer advisory group. Offer these customers something for their time and feedback. Encourage open conversations about how they’re using your product and value vs. cost to them. Be prepared for the good, the bad and the ugly. By offering to participate however, these customers have taken an interest in your product’s success, so take time to analyze their feedback. Tiered pricing will give you a sense of where the largest interest lies for your product. If you’re not sure you want to offer everything at one price, a test of a tiered scenario could quickly allow you to see what value customers are willing to pay at what price point. Pricing changes over time due to supply and demand, other emerging products and technology, or market conditions. Your business is an ever changing entity, and innovation and growth come from being proactive (as opposed to reactive) in your marketplace. Here are some pricing strategies people love. (I found it a better read than listen). What are your best tips for creating a pricing model? Is Your Pricing Strategy Anti-Customer Centric, Creating Distrust?